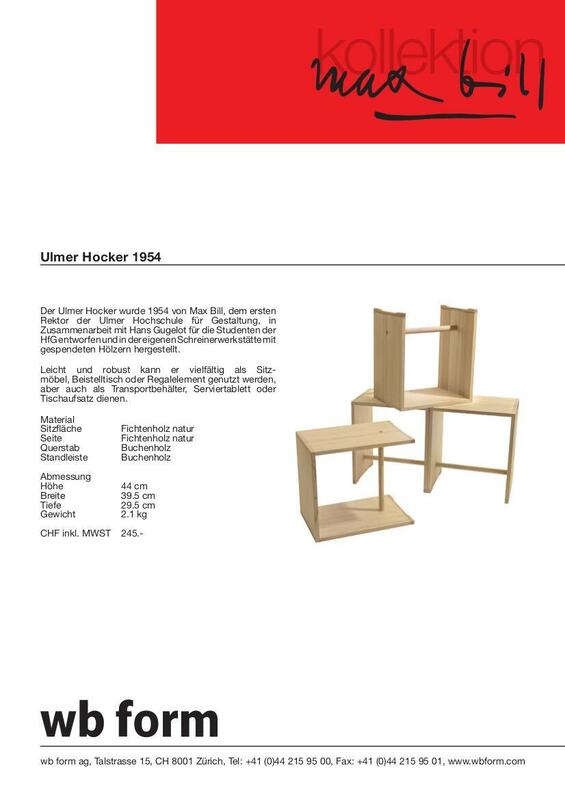 The Ulmer Hocker was designed in 1954 by Max Bill, who was best known as the first rector of the Ulm School of Design. 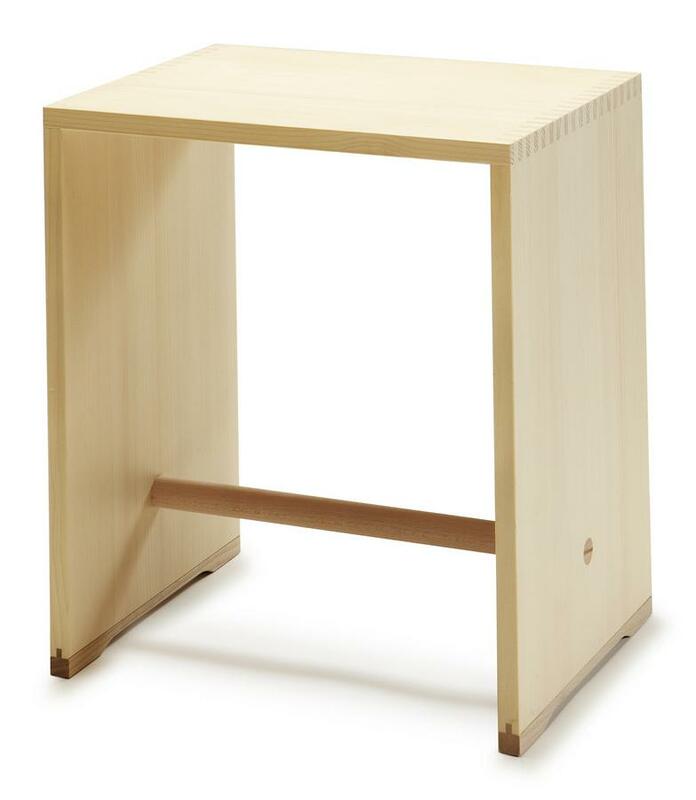 For the school he also designed, in collaboration with Hans Gugelot, a stool from donated wood which was processed in the school's own carpentry workshop. 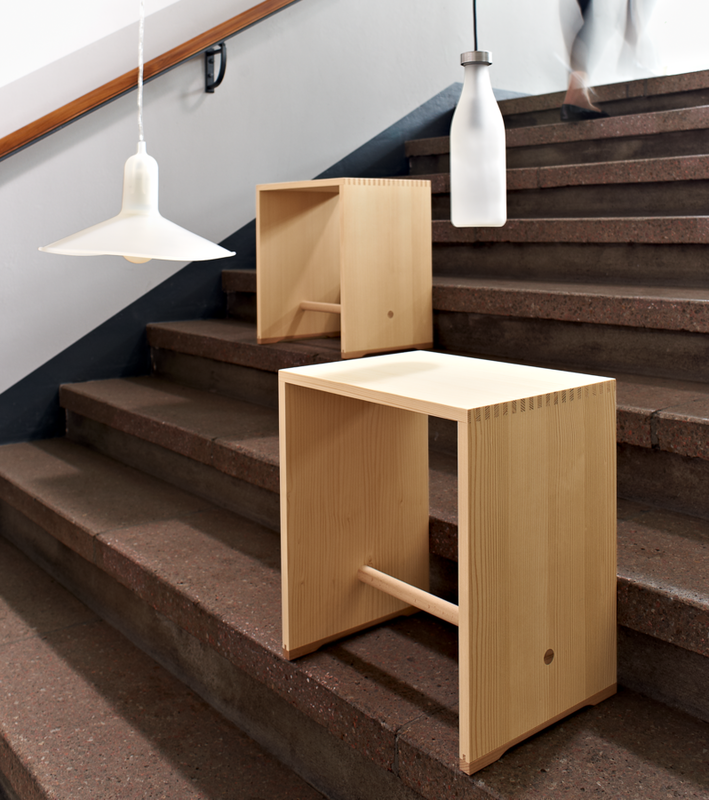 Today, the stool is produced in the workshops of wb form and continues to convince through its versatility. 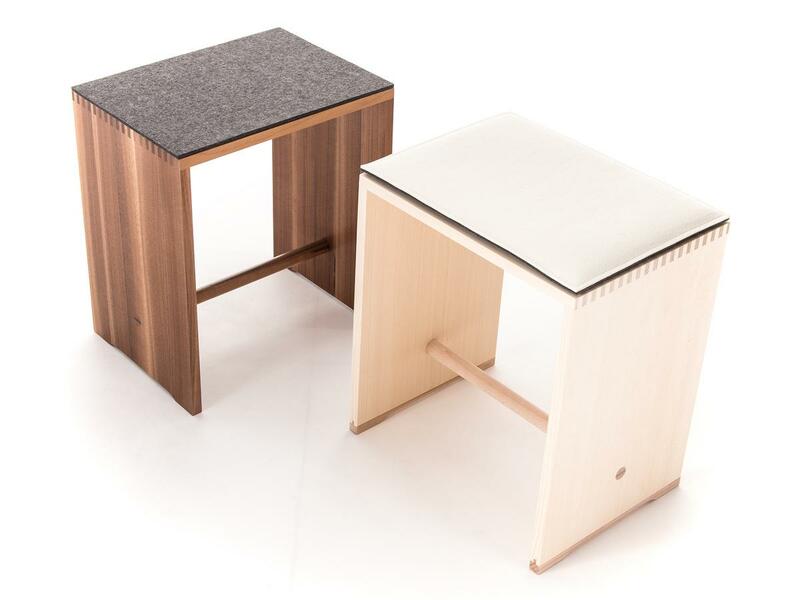 Thanks to the clean lines and unfussy shape the Ulmer Hocker adapts to any living area and serves times as a stool, side table, shelf or coffee table. 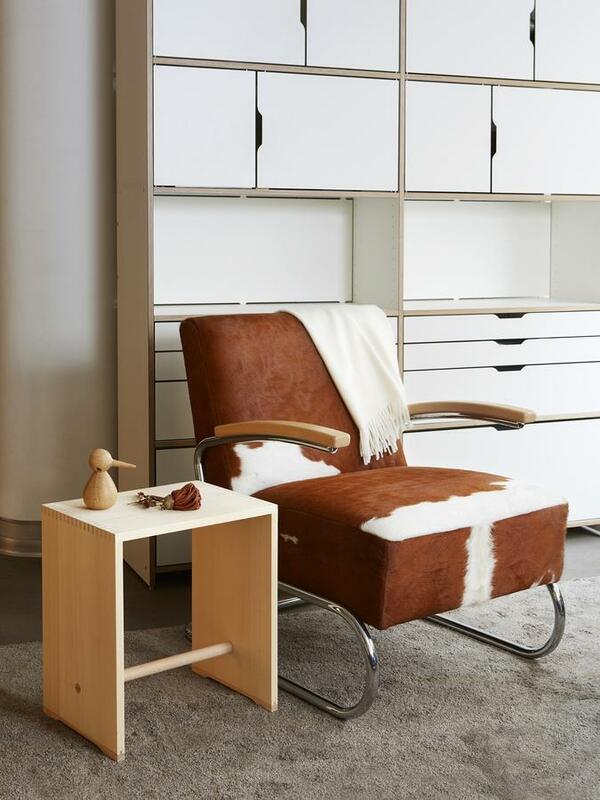 The untreated wood from which it is produced also exudes a natural charm and a pleasant warmth. 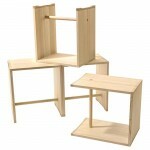 Variants The Ulmer Hocker in Colour is available separately. 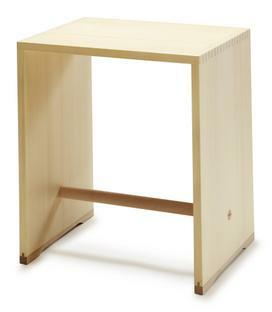 Care Untreated wood should not be exposed to wet conditions. For cleaning we recommend a soft, slightly damp cloth. Werkbund Berlin present lecture series "Die gute Form"